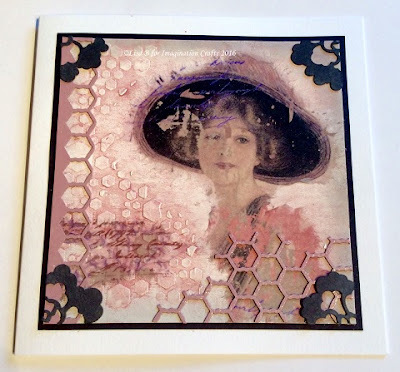 Imagination Crafts on Hochanda - What A Day It Was!! Good morning, happy Saturday. It's the morning after the day before & what a day it was!! Four shows on Hochanda, following Thursday night's launch & it was completely hectic all day long. 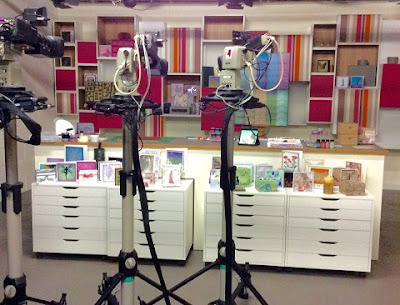 So busy in fact, that the Hochanda website & phone lines couldn't cope with the volume of traffic at times. We're sorry if some of you missed out, but we hope that, in the main, you managed to complete your orders. 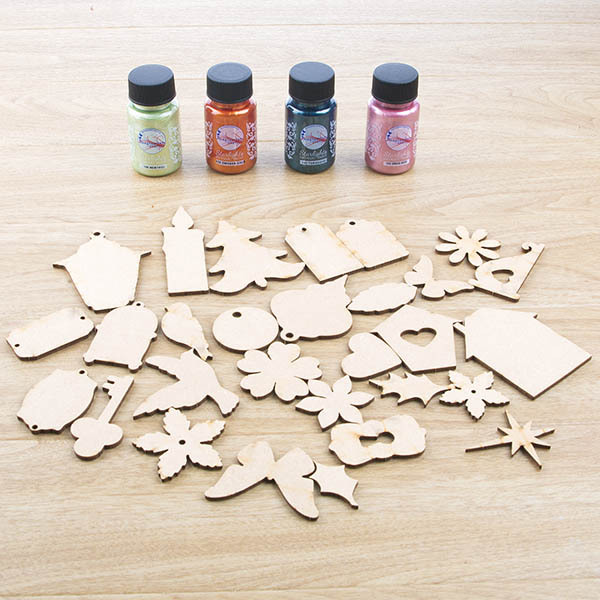 The first one day special, which was a set of brand new Alchemy Waxes, sold out very early, so Sue put together a second ODS, which was Starlights & MDF charms. That sold very well & is back to its original price on the Hochanda website. 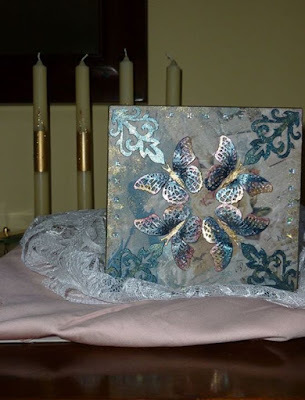 The next Hochanda shows will be on January 29th. We will let you know the times of the programmes as soon as they are confirmed. Thank you again for all of your support & kind messages on the Facebook page & via email. We hope you know how much every one means to us. Hello everyone, Sue here, hope you're well. 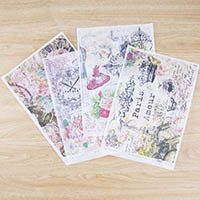 I wanted to let you know about the introduction of some BRAND NEW PRODUCTS to the Imagination range of goodies. They are being launched on HOCHANDA TV craft channel this Thursday, January 14, at 8pm. We also have a product launch, which will be a ‘One Day Special’ and the prices are fantastic! You will effectively be receiving 2 pots free!! Tune in to see these mystery little beauties and learn about all the different things you can do with them! 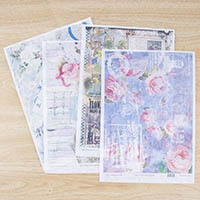 We are also showcasing our brand new, printed, Mulberry Ricepaper, which is beautiful. 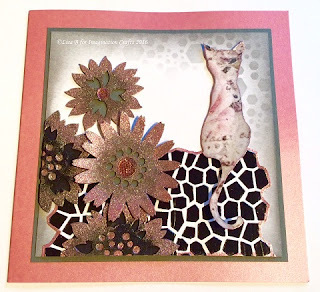 The cards and 3d projects you can make with it are fabulous. 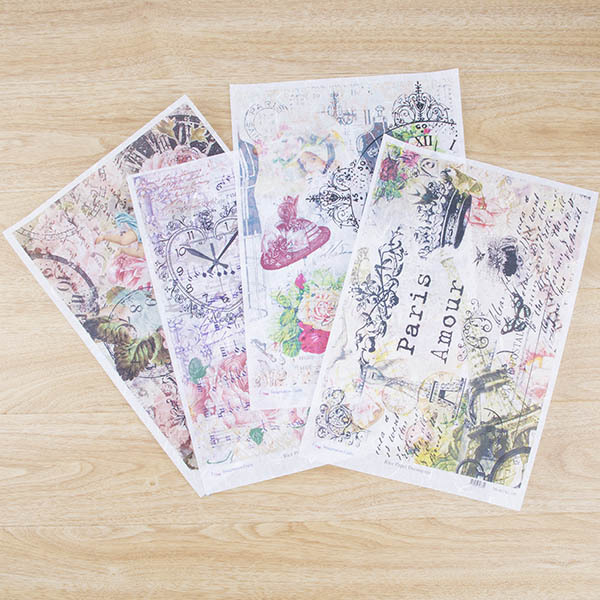 There is a Super Special Offer on our printed Card Packs, this is one you won’t want to miss & another amazing offer on some MDF charm sets. 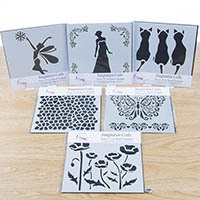 The other incredible offers that Hochanda will be bringing you are halfprice stencils, some of which were released only recently. All the prices in the shows are some of the best you will see. I know you don’t like missing out on bargains and there are some real bargains here, believe me! 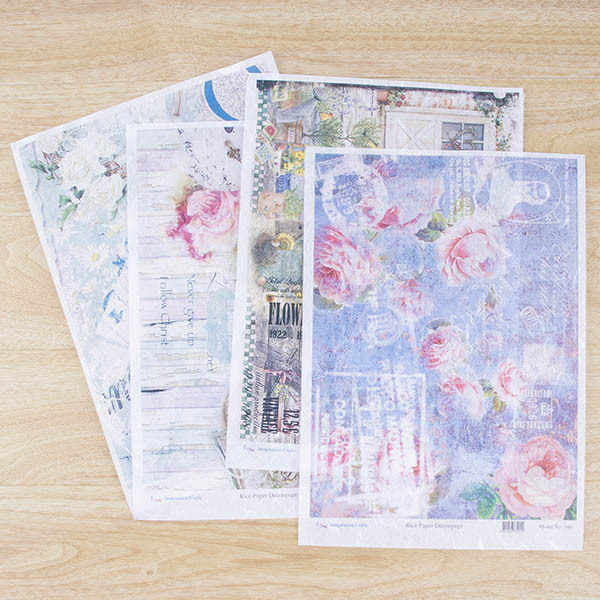 These offers will only be available from Hochanda, we won't have them on the Imagination crafts website, so once they're gone, they're gone! 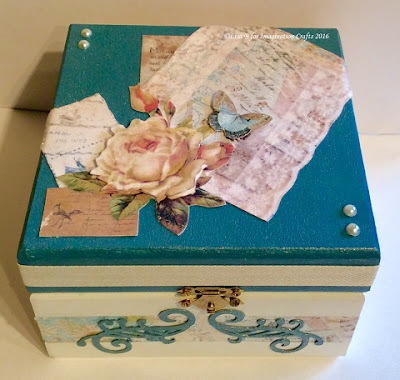 We have some great hinged MDF boxes that are ready assembled, they are lovely for storage and gifts, as well as other MDF items. We will be showing you how to use Art-Cutz and of course, Sparkle Medium & the fabulous Starlights – thank you for all your wonderful feedback on using them, we really appreciate it. 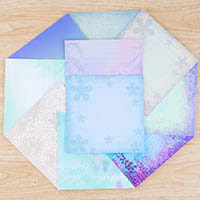 We have put together a new set of Sparkle Medium for you, with colours I would never normally use together, but they look stunning and the waste mix is really lovely. I will be giving you hints and tips for keeping your Sparkle Medium in good condition and telling you how you can die cut with it as well. 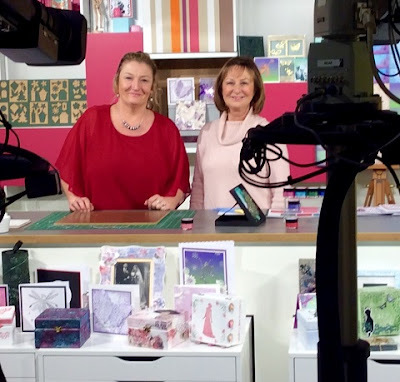 We will be bringing you some new glues and a brand new glaze that has never been on TV before and an amazing embossing mat. I always feel these things don’t always sound the most exciting products, but when you see the techniques we are going to show you with the new glaze, I think you will love it. We have really pulled out all the stops with our techniques for this show and have planned 20 different demonstrations for the five shows over the two days. As ever, there will be something for everyone. I am also delighted to announce that I will be joined on the shows by the lovely Lisa B of LisaBDesigns. Lots of you are familiar with Lisa & know she is a renowned craft teacher, designer and artist. 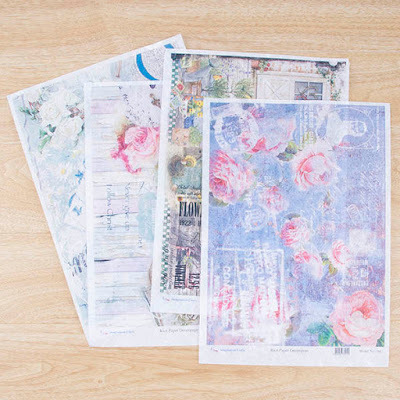 She will be showing you some of her mixed media techniques and how to use products in a completely different way to me, so you will be getting two for the price of one. I hope you will make her welcome as she is nervous of going on TV, but give her time and I know you will just love her technical skill and expertise. 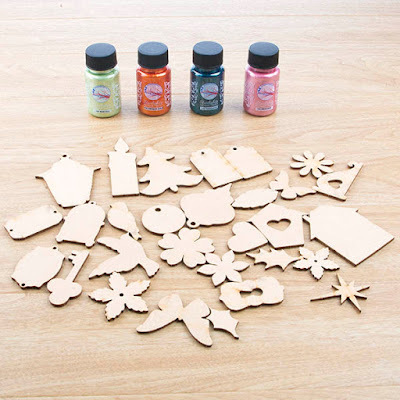 It also means that you will see products being used in ways you never imagined and as we have all made such an investment in our crafting we always want to see other ways of using our supplies. Lisa constantly inspires me, so that has to be good! Hope you can join me on Thursday evening at 8pm & on Friday at 9am, 12pm, 4pm & 7pm for hours of crafting inspiration - and a bargain or two, of course! Kirsten will be commenting on the shows on our Imagination Crafts Facebook page, so feel free to leave a comment, or ask a question. Thank you again for all your support & encouragment.